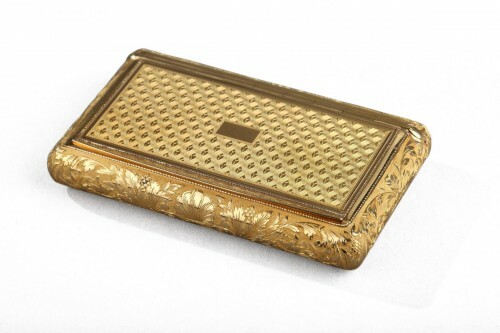 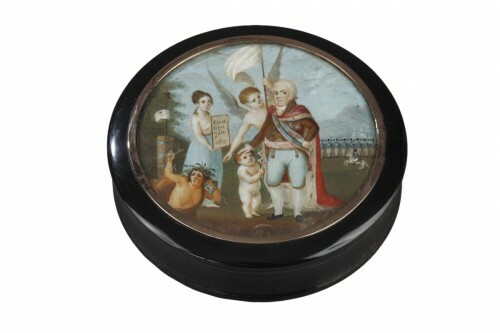 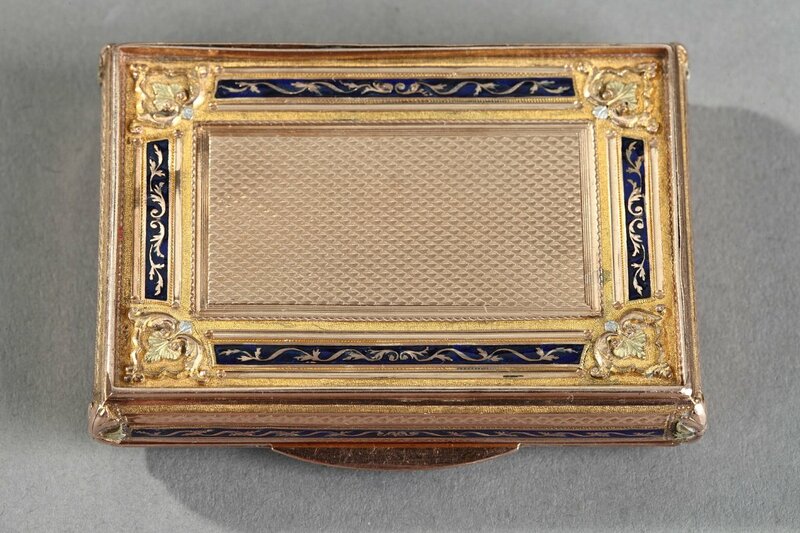 Rectangular box with three tones of gold and royal blue enamel. 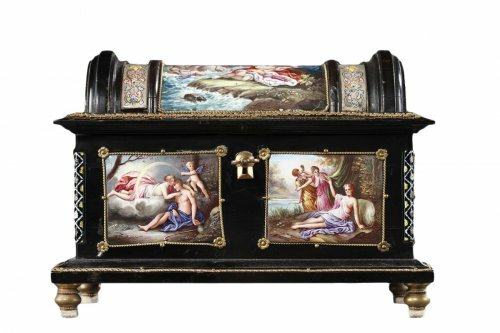 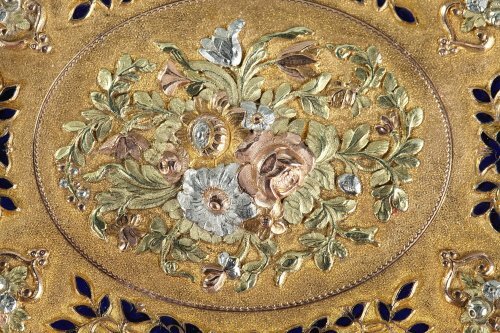 The hinged lid is embellished with a multicolored gold medallion in relief featuring a bouquet of roses and tulips, set on a matte gold background. 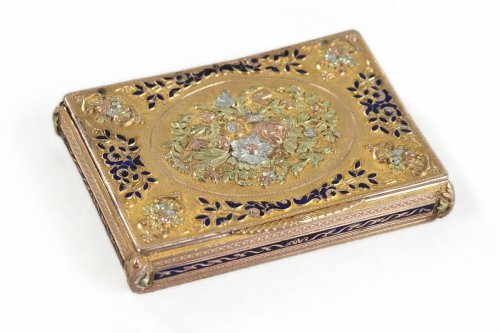 Delicate foliage accented with royal blue enamel is set around the central medallion. 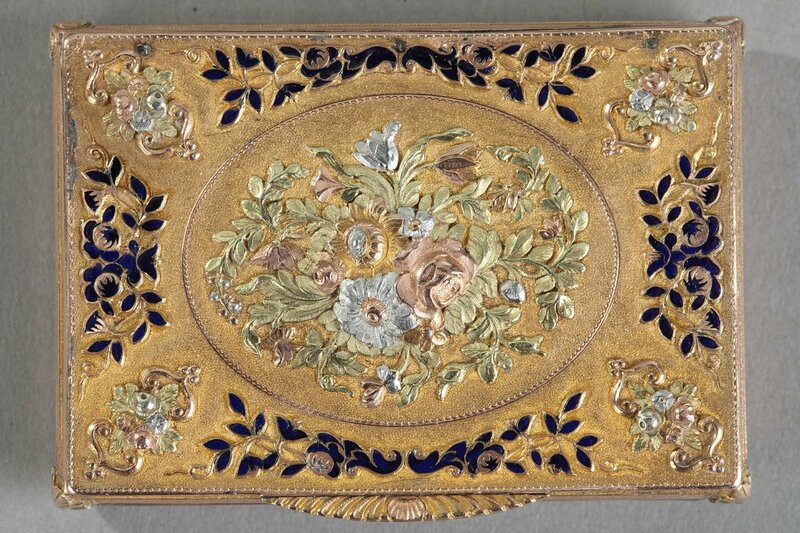 The corners feature floral motifs that echo the central composition. 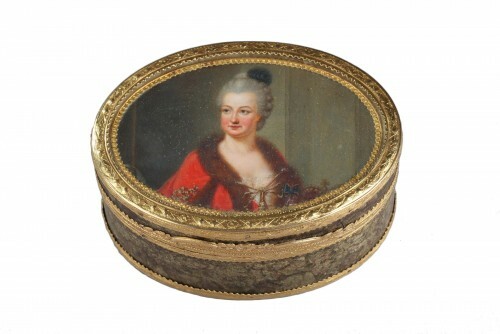 The button that serves to open the box features a shell motif. 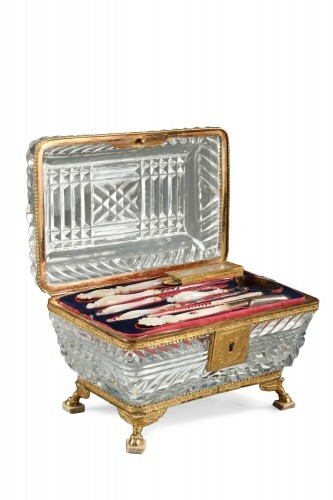 The sides of the box are ornamented with gold, floral motifs set on a royal blue background. 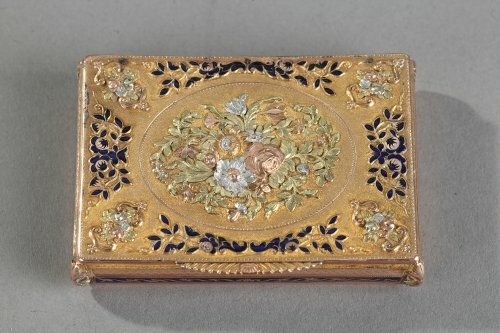 The corners are decorated with floral motifs, repeating the gold color scheme from the cover of the box. 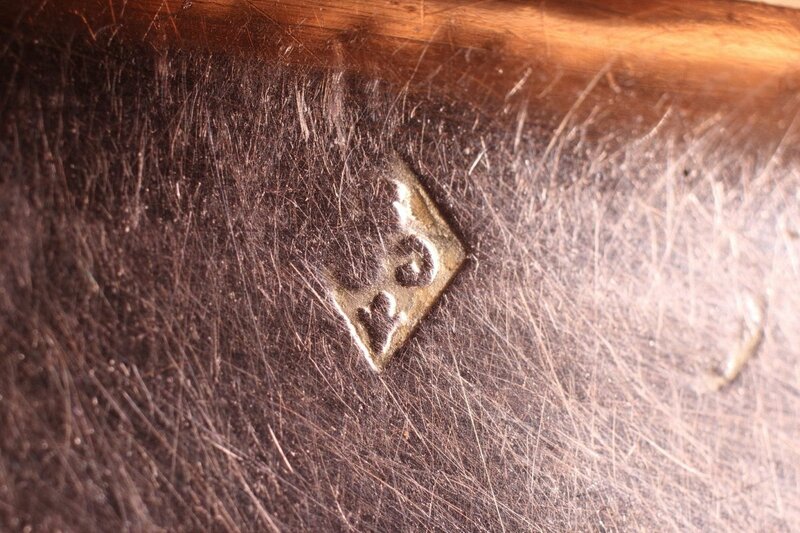 Wolf head mark. 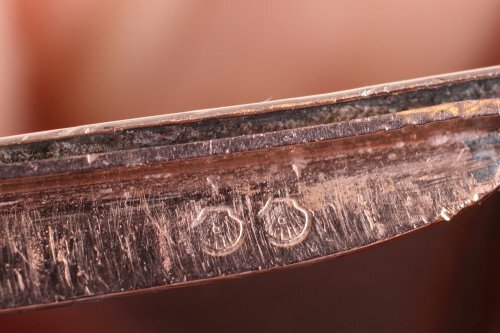 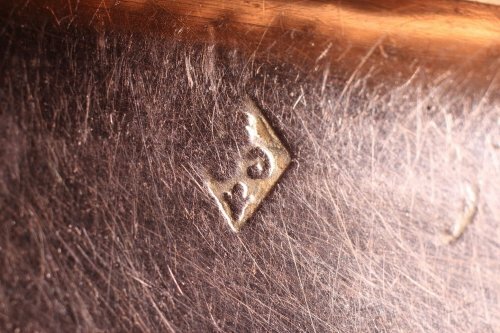 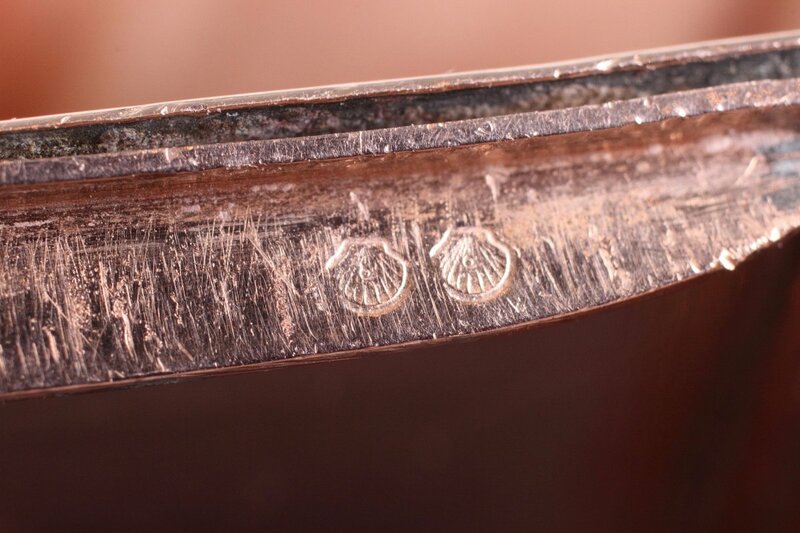 Inventory mark from the early 19th century. 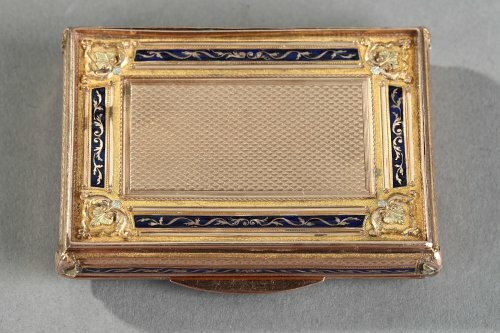 Most likely Swiss craftsmanship from the early 19th century. 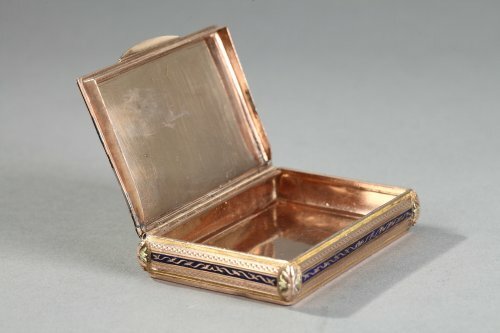 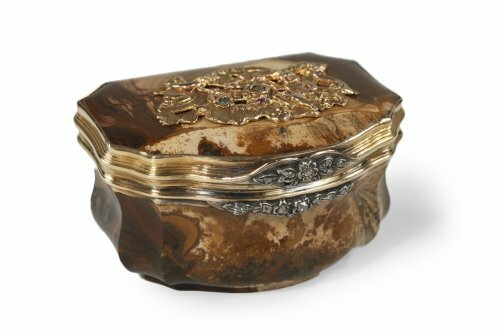 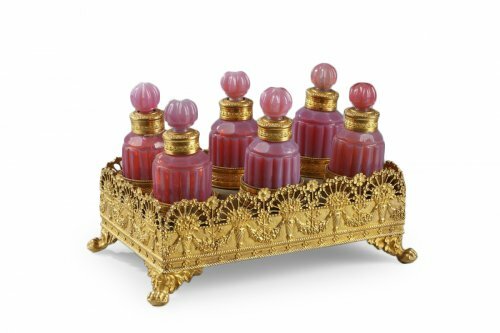 Gilt bronze perfume box with opaline perfume flasks. 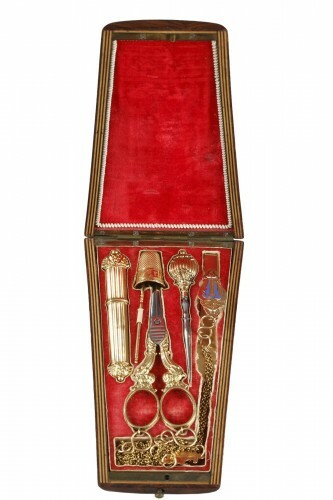 Charles X.